Join us next Tuesday at Mt. Hood Ski Bowl for the second and final Tele Tuesday of the season. 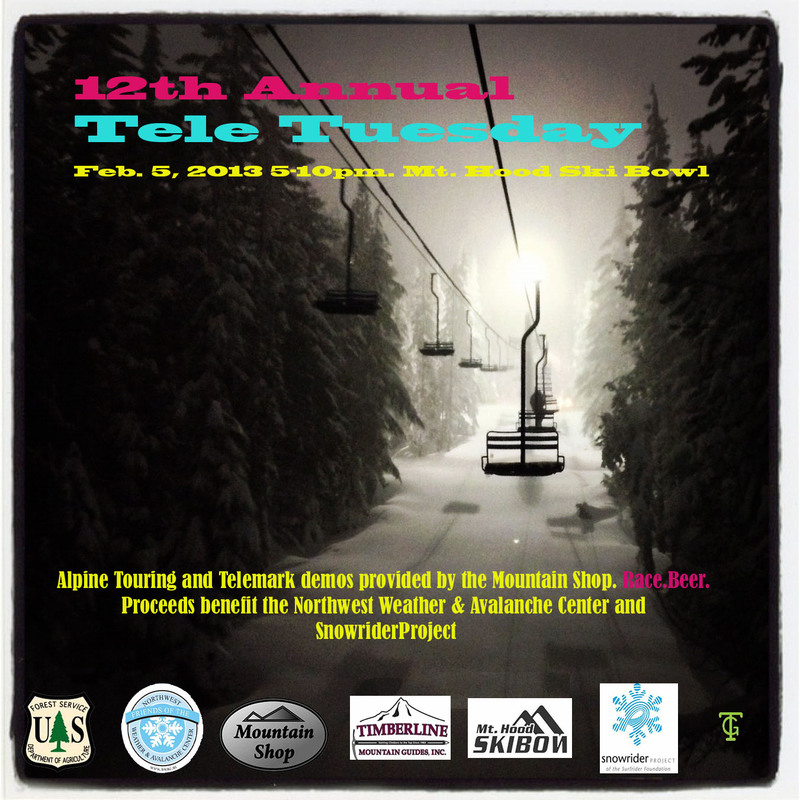 The Mountain Shop will provide unlimited alpine touring and telemark demos the proceeds of which benefit The Northwest Weather and Avalanche Center and there will be a telemark freestyle competition in the upper bowl. Pints of Terminal Gravity pale ale will be served in the a-frame which is the last building on the left as you approach the lower bowl chairlift.